John B. 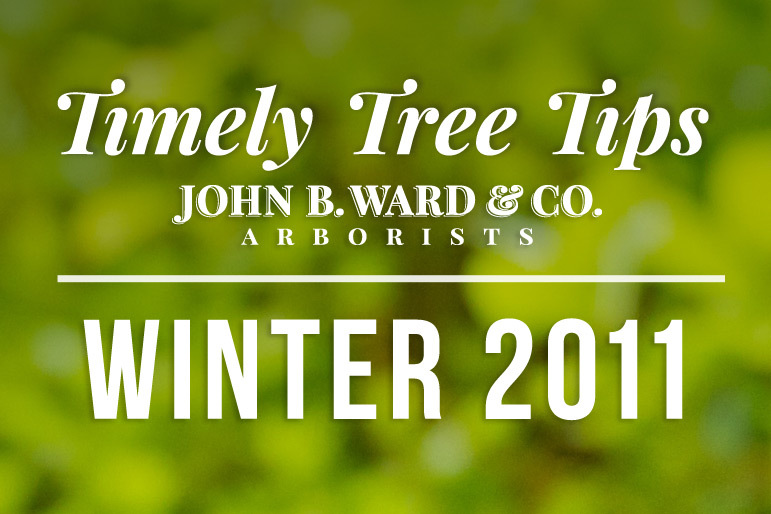 Ward & Co. 2011 Timely Tree Tips | John B Ward Co. In this year’s newsletter, we highlight several tree preservation techniques. Some techniques apply to young, developing trees with goals of reducing the need for future corrective pruning and helping to develop healthy root systems. Other techniques are used primarily for mature trees, where our goal is to extend their life expectancy. Below is an interactive pdf of our 2011 newsletter for you to enjoy.